A court has fired the prime minister and a part of her cabinet. While the rest of the caretaker government has survived, the opposition is unlikely to allow fresh polls soon. With no leader to guide it, the economy will be Asia’s worst performer, and perhaps not just this year. Prime Minister Yingluck Shinawatra attends her cabinet economic meeting at the office of the Permanent Secretary of Defense in Bangkok April 21, 2014. In a May 7 ruling, Thailand’s Constitutional Court asked Prime Minister Yingluck Shinawatra and some of her cabinet colleagues to step down, after finding her guilty of violating the constitution. 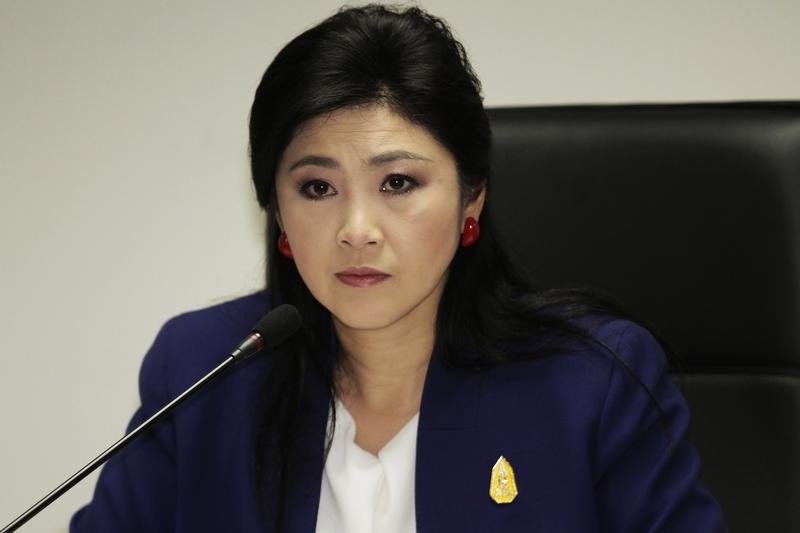 Yingluck has denied that the 2011 transfer of National Security Council chief Thawil Pliensri into another role was designed to benefit her Puea Thai Party and a family member. Thai manufacturing declined 10.4 percent from a year earlier in March, and exports fell 3.1 percent. Imports shrank 14.2 percent, and households’ inflation expectations sank to a 45-month low in April. Bank of Thailand expects the economy to have contracted in the first quarter. The central bank’s forecast for full-year GDP growth is currently 2.7 percent. Last October, just before the political protests flared up, the central bank was expecting the economy to expand 4.8 percent in 2014.